Outings in groups of four or more people, with flexible departing times. Ask for group fees. Beginners of all ages. 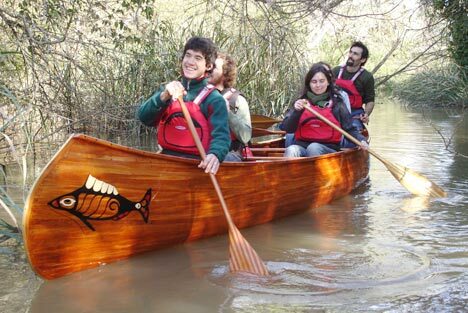 Canoeing tours along the first section of Tigre’s Delta. Ideal for family groups and visitors willing to explore this region in an unusual way experiencing the natural environment. Two hour gentle guided river tours. No previous paddling knowledge required. Aimed to those who want to witness the Delta in a different way, through meandering streams, in contact with the islander’s way of living.